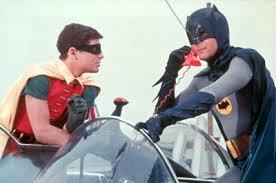 Don’t get your tightie-whities in a tangle, Robin, I’m calling Commissioner Gordon to see if I can clear up the confusion. Before you think I’ve gone all egotistical on you, let me explain. I met a rare and wonderful person here in the Blogosphere. Yes, I could be speaking about any one of you. But I’m referring to a fellow blogger (who isn’t a “fellow” at all) and her name is…are you ready for this…Lorna. That’s Lorna. Not me, but Lorna. I know it’s confusing because we’re both foxy blonde authors. Sorry. You’ll just have to live with it like we do. Yup. Lorna. I mean, how many Lornas do you know? I only know a handful and one of them is a fictional character. But this one–Lorna Dounaeva–just released her first book TODAY on Amazon. It’s called Fry. We support each other through thick and thin. That’s why I’m doing this interview with her and telling you all about her novel that debuts TODAY! We’re not all blonde. At least I don’t think so. We may have the same name, but we are individuals. Note how short her book title is compared to how long mine is. Her book is a novel; mine is a memoir. 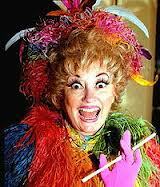 Her novel is a thriller; mine is more like Phyllis Diller. Imagine her writing a scary novel. Okay. So maybe she does look a little scary. It doesn’t mean she could write something scary. Work with me, People. Lorna: I knew I wanted to be an author when I was five years old and I found out what one was. I also remember being asked to write an essay on my favourite possession when I was about seven. I called it ‘My Victorian Imagination’ and proceeded to write a ten page epic about time-travel. My teacher was incredibly bemused. Not least because I didn’t leave many gaps between the words and when I made a mistake, I turned it into a flowerpot. Lorna: Well, that shows a great deal of ambition, creativity, and inability to follow instructions. You were destined for greatness! Who or what inspired or inspires you as a writer? As a person? Lorna: I’m inspired by films such as the Exorcist, Donnie Darko and anything by David Lynch and writers such as Marian Keyes, Jane Austin and Sophie Hannah. Also, just the little things in life can be very inspiring. The way the leaves fall off the trees or the amount of hair it takes to clog up the drain-pipe. Lorna : Hmm. Your tendency to be so observant of nature and plumbing make you a natural for Buddhism. But we Buddhists rarely see good and evil in such black and white terms like in the “Exorcist.” But that film was in color as I recall. 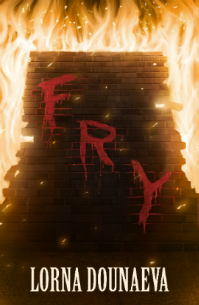 Moving on… Fry is a psychological thriller. Was there anything about writing in this genre that surprised you? If so what? If not, why not? Lorna: I was surprised to find myself writing in this genre at all! When I was little, I thought I’d write boarding school stories. Then, when I grew up, I thought romance. But my mind must be a lot more sinister than I realised, because when I sat down to write, it wasn’t all fluff and rainbows as I’d imagined. Lorna: I understand. I tried writing with Fluff and that stuff is very sticky. Speaking of sticky… if writing was a road way and your job was to make up a sign to caution new writers just merging onto that road, what would the sign read? Lorna: Since I can’t drive, I’m really the wrong person to ask! And I’d probably be driving on the wrong side of the road for most people reading this, since I’m from the UK. (Actually, I had a few driving lessons in Ukraine once, but the driving instructor wasn’t even in the car with me most of the time.) I suppose my sign would be a U-turn. Don’t do what I did! It took me years to write my first novel. I didn’t plan it at all and I ended up going into labour in the middle of writing it. Two babies later and it’s finally done. Lorna: Are you psychotic psychic, like me, Lorna? That answer fed perfectly into my next question. Who are you besides Lorna the Author? Lorna: I’m Lorna the Mum. My babies turned into active toddlers and I spend most of my time running after them, mopping food off the ceiling and pretending to do the housework. 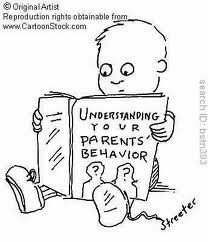 Before I had the children, I was a politics graduate and worked at the British Home Office. I also enjoyed karaoke and obsessed over who would win the Eurovision Song Contest. Lorna: Karaoke! Now you’re singing my tune. I always wanted one of those home Karaoke machine, how about you? No wait, I’m going off track here…What is the most out-of-character thing you’ve ever done (that you’ll admit to in public)? Lorna: I once got into a dance-off with a troupe of flamenco dancers! Worse still, I dragged my friends into it too. For people who know me well, it will come as no surprise that I used to collect My Little Ponies. Yes, that’s the children’s toy and no, it wasn’t that long ago. Anyway, I was with some fellow collectors at an engagement party and we were feeling a bit sheepish about admitting how we knew the bride-to-be (a fellow collector.) So when someone asked if we part of her flamenco troupe, we readily agreed. We continued to tell people we were the flamenco dancers all night and enjoyed being able to mingle with the other guests without anyone thinking we were strange. Until a stern-faced woman came up to us. “How do you know the bride-to-be?” she asked. “We’re the flamenco dancers,” I replied with a now quite practised shrug. She rose up to her full height. “No, we’re the flamenco dancers!” she spat, indicating herself and her friends. I could tell things were about to turn ugly. A challenge was thrown down. Everyone cleared the dance-floor. A couple of guitar players appeared and started to play. The real flamenco dancers went first. They were good, really good, stomping about in their noisy shoes. Then it was our turn. What my friends and I lacked in skill, we made up for in conviction. We stomped and strutted up and down the dance-floor, cheered on by the crowd. All the time, I could feel the glare of the real flamenco dancers. Flamenco is clearly not something you joke about. After we’d finished our performance, a neutral party asked the audience to vote by show of hands. To my delight, they liked our rendition best. The flamenco dancers were furious! My friends and I grabbed our bottle of Lambrini and snuck out the back. The ridiculous thing, the bride-to-be informed me the next day, is that I was the one who demanded the dance-off in the first place! Damn that Lambrini! Lorna: Well, that was a fun interview! Thanks for sharing a bit of yourself with us. Now lets hear something more formal about you and your novel. Lorna Dounaeva is a British blogger and author of mainly psychological thrillers. Her debut novel, FRY, goes on sale on Amazon on 12th March. She is a politics, social psychology and European Studies graduate who worked for the civil service, primarily the Home Office, for a number of years. She lives in Surrey, England with her husband, two children and a quirky sense of humour. police. In order to survive, she must question her own innocence, her sanity and the very fabric of her morality. Can she win back Deacon? And will she ever find Fluffy? FRY is a fast-paced psychological thriller in the tradition of Sophie Hannah and Julia Crouch. I’ll be buying Lorna’s book and reading it so I can write a review. Watch for that review in a post sometime in the future. You sure are getting your reading done! I wish I had time to catch up on old posts. I have a dickens of a time keeping up with current ones! This was great and again, shows how kind, supportive and amusing you are, Lorna! So glad you are suggesting other authors to read, along with letting us know more about another Lorna. Why, you two could be sisters from a different mama, wait? You are! Both talented, beautiful and caring individuals… I mean it! Glad you visited (and by simply doing so, let me know how far behind I am in reading your posts!) My goodness, so sorry about this, Lorna! Sure…take care and we’ll talk later. Sure, good idea! You know, my mother has had many things published the “old fashioned” way…submitting stories and such. She, like everyone from her generation, saw it as a disgrace to self-publish back in the day. But now, with editors and publication houses the way they are, a whole new market has opened up to the author who publishes their own work! Take care, Lorna. Always a pleasure to hear from you! A very smart piece, my dear! And “The Fry” Lorna sounds great just like you, “The blogmaster” Lorna. Well done…Skip. Just email me about two weeks before you want the interview to go live on my blog so we have time to figure out what kinds of questions make sense, you have time to answer them, and I have time to come up with my quirky style to present the whole thing. Well, you are a sweetheart to help Lorna, Lorna. This one sounds really interesting. Thank you! Yes, I subscribe to his blog, but I’m not caught up. THREE Lornas? What’s this world coming to??? Great interview! I wish my name was Lorna ~ apparently you’re all natural-born writers, just like I want to be! Great interview by the way! That was surreal. I felt like I was being interviewed by myself. Thanks so much for having me on your blog, Lorna. Lorna’s of the world unite! Enjoyable interview L & L. And good luck with the book, Lorna. Now I know of 2 Lornas.